Smart Growth America released a report,Dangerous by Design 2014, ranking how safe it is to walk in the major metropolitan areas. It looked at the number of residents who walk to work and the pedestrians killed over 2003-2012 – called the Pedestrian Danger Index (PDI). News flash — A high PDI is a function of low walking rates and roads designed for cars, not people. No wonder Central Florida, Tampa-St. Petersburg, Jacksonville and Miami-Ft. Lauderdale are vying for first place as most dangerous — especially when, on average, less than 1.5% of residents walk to work. The good news is pedestrian deaths are avoidable. The better news is YOU are part of the BFF movement to take on these challenges. You not only subscribe to this newsletter but yield to peds, use a crosswalk, share the ped news and even sport an iY4Peds bumper sticker. Yes, yield rates are improving. Yes, OPD and OCSO are enforcing the yield law. 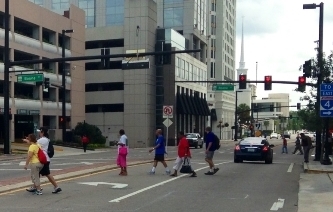 Yes, city, county, MetroPlan, LYNX and FDOT engineers are planning roads for all roads users. 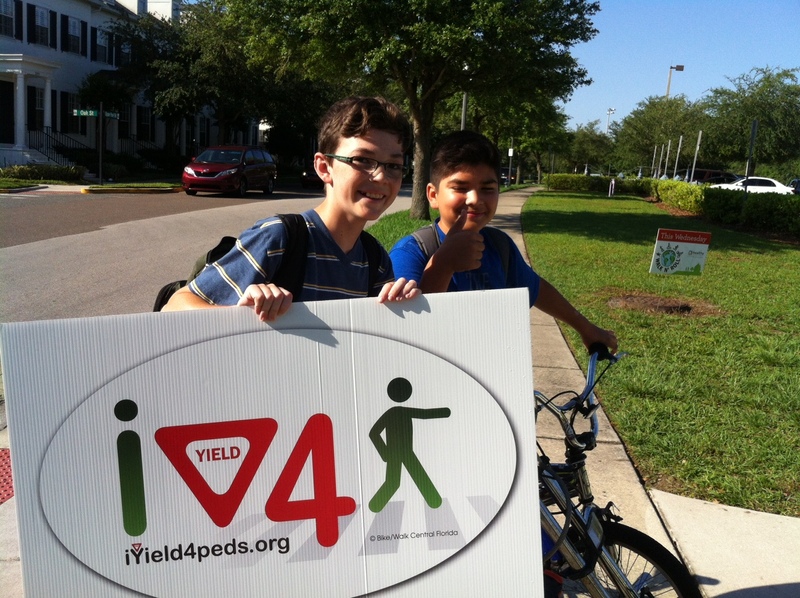 Yes, Orange County Public Schools are looking to incorpate ped safety into its PE curriculum this fall. BFF is in full force. Let’s concede it took 30+ years to achieve first place. And, let’s commit it will take half that time to to get us to last place. Can’t get there without you.